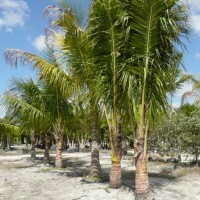 Coconuts are the most universal and widely distributed palm tree in the world. Uses: Shade tree, specimen tree. 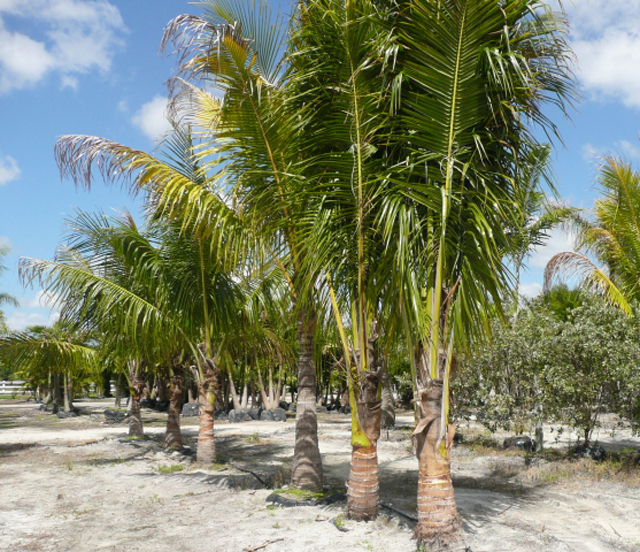 These palms are valued for their ability to adapt to exposed coastal locations, although they do fine in drought situations, they prosper best in areas with high rainfall. Coconuts have a very high salt tolerance. Height: 50 - 80 Ft.
Stock: 12 - 20 Ft.